Generation Film’s Top 20 Films of the 70s | Generation Film! 20. Dog Day Afternoon- Veteran director Sidney Lumet and Al Pacino teamed up for their second time to portray the factual events of a heist gone wrong in the captivating drama known as Dog Day Afternoon. 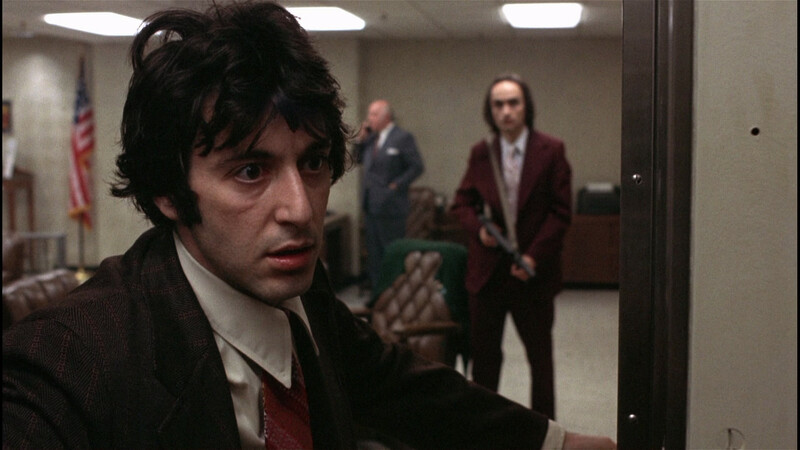 Most 70s films began with mysterious intentions and Dog Day Afternoon is no different allowing the intentions of the characters to be veiled in secrecy until the moment of realization is perfect. Lumet’s ability to use confined space in such an intriguing fashion was put to the test utilizing the most of his astounding cast, including an Academy Award nominated performance from Pacino. 19. 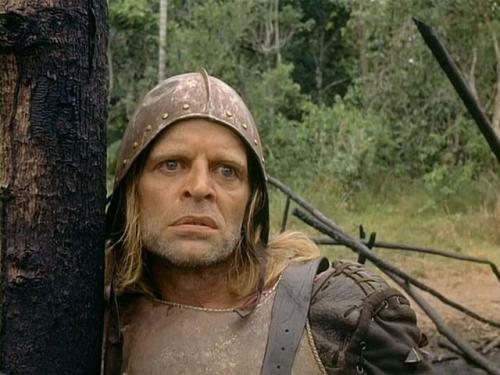 Aguirre, the Wrath of God- Werner Herzog is known by many to be an eccentric, obsessive, and determined artist and his masterpiece Aguirre, the Wrath of God is certainly proof of his mastery to cinema as an art form. Setting the story around a group of Spanish conquistadors attempting to find the lost city of El Dorado, Herzog brilliantly shows the devolution of man from enlightened men of reason to greedy survivalist animals. Aguirre, the Wrath of God sets an intriguing parallel of the group’s descent with their journey along the river, which are some of the most languid and mesmerizing shots captured on film. 18. Being There- Based on Jerzy Kosinski’s novel, Being There is an immensely funny but thoroughly contemplative film on society’s dependency and gullibility when it comes to eccentric personalities. The last shot of the film, which will not be spoiled here, basically sums up this humble film nicely showing Hal Ashby’s strengths as a great storyteller. 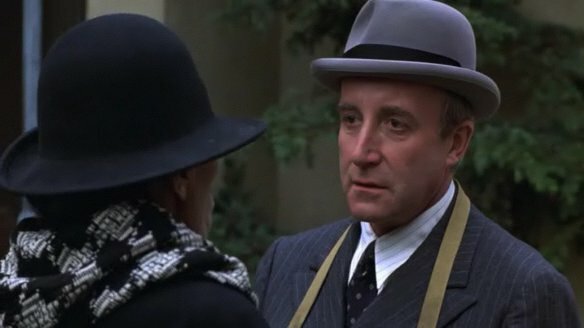 The 70s were generous to Ashby, with notable successes such as Harold and Maude, but Being There was his best work and a defining piece that is relevant even today. This was Peter Sellers last film to premiere when he was still alive, and his honest and subtle performance will always be a highlight of his distinguished career. 17. 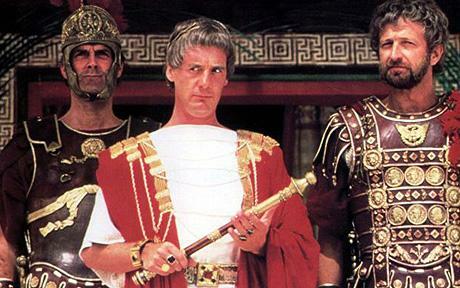 Monty Python’s Life of Brian- Satirically potent and immeasurably witty, Monty Python’s Life of Brian is not only a brilliant comedy but also a unique and controlled demonstration of religious skepticism. It doesn’t take any claims as to whether or not god exists but rather it takes a specific point of time and amplifies the cultural stereotypes, societal credulity, and religious interpretive fanaticism that was existent during that time. In the Monty Python way the cast is filled with the same six men in multiple roles and shows that comedy can be meditative on current, historical, and philosophical issues. 16. 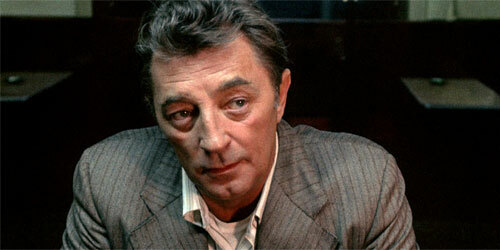 The Friends of Eddie Coyle- There is not a film that comes close to being as detailed and magnifying into the life of modern criminals as Peter Yates’ The Friends of Eddie Coyle. 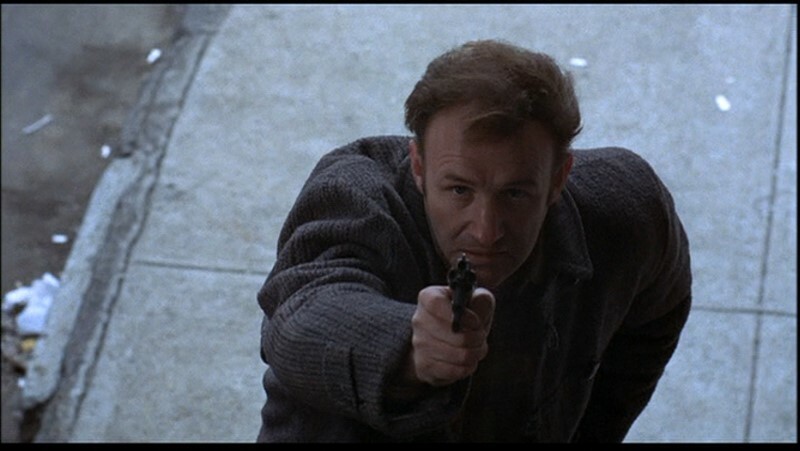 Yates is well known for being the director on the classic action film Bullitt, but The Friends of Eddie Coyle embodies a certain persona that was quite ahead of its time in its portrayal of criminal entities. The motivations, the dialect, the back door dealings, and the tragic endings are all represented here in an exceptional and unique presentation on film. Exceptional performances from Robert Mitchum, Peter Boyle, and Alex Rocco will keep any audience participant mystified as to their diversity and integrity as an acting generation that really no longer exists. 15. 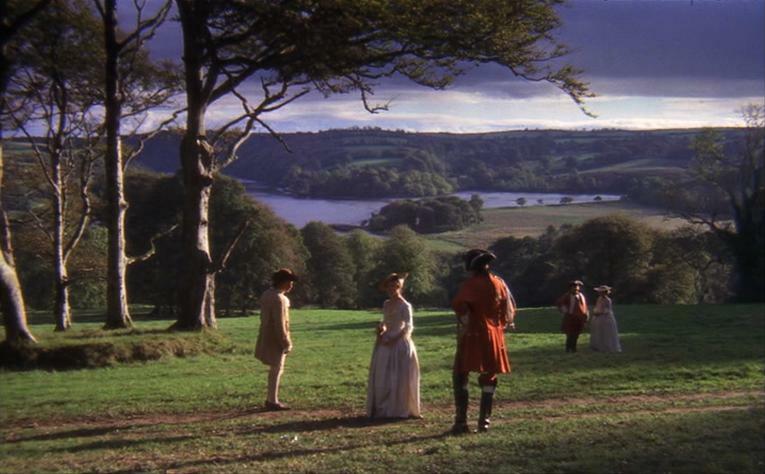 Barry Lyndon- As if you were watching a painting come to life, Stanley Kubrick’s beautiful film Barry Lyndon captures the aristocratic ambitions of a lowly Irish man underlining the futility of such time centered aspirations. Kubrick shot this methodically paced film with a specially modified lens to capture the authentically lit settings with candlelight. It’s a film that is continuously misunderstood due to its reflective subject matter and leisurely paced sequences, but stands as monument as to what filmmakers are capable of revealing through film as an understatement. 14. 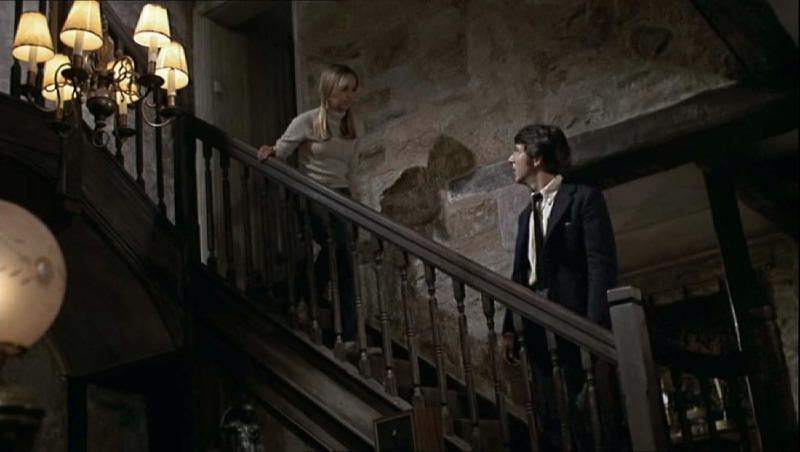 Straw Dogs- Sam Peckinpah’s violent and unsettling examination into the disturbing harassment from townsfolk on a newly wed couple pushed the boundaries even for the 70s and was known as Straw Dogs. Laced with Peckinpah’s inventive use of editing and fascination with human violence, Straw Dogs was able to shock audiences with not only its graphic honesty but also with an out of place performance from Dustin Hoffman. It is certainly a film that presses on its audience’s nerves by a use of atmosphere, character, and familiar situations, showing just how effective a filmmaker Peckinpah was despite his continuous use of graphic imagery. 13. 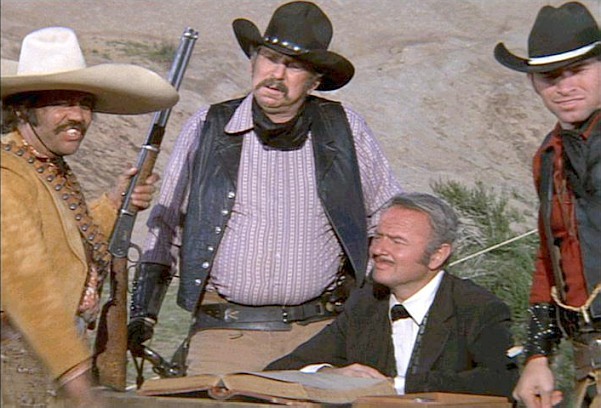 Blazing Saddles- Mel Brooks’ politically incorrect parody of the Western genre, Blazing Saddles, helped launch him into the realm of comedic legends along with the release of Young Frankenstein, which came out the same year. Blazing Saddles is the superior of the two films only due to its knowledge of the Western genre that is exposed with such comedic precision but also the uninhibited display of racial and stereotyped comedy that was rarely tackled even during the 70s. This was a film that served as a template for the boundaries comedy could inevitably push. 12. 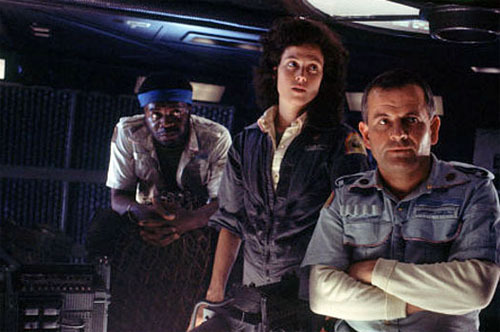 Alien- When Ridley Scott combined science-fiction and the Hitchcock elements of great suspense horror with his classic Alien, both genre’s would never be the same again. Its claustrophobic settings creating the underlining suspense in the audience knowing full well that escape is not an practical option for survival in space was a brilliant move, one that hasn’t been copied in ambiance ever since. A great cast, amazing set designs, subtle camera work, and tactical suspense building cinema are the core attributes to this remarkable combination of horror and science-fiction that practically re-invented both genres in delivery. 11. The French Connection- The gritty, police drama The French Connection was a best picture winner and arguably deserved it for its authenticity of the events that actually occurred on the case that surrounded the drug ring that was known was “the French connection.” The film is known for its documentary film style, one that William Friedkin basically perfected, and its non-sequitur spouting protagonist played marvelously by Gene Hackman. As police dramas go it’s a gem that has been brilliantly referenced ever since the on screen debut and provides great suspense, action, and dialogue that is original, genuine, and memorable. 10. Close Encounters of the Third Kind- there is a remarkable quality to Steven Spielberg’s Close Encounters of the Third Kind on a cinematic level as well as wonderment for future filmmakers. The subtly paced science-fiction film about the secret messages from extra terrestrials to a select few humans, and our fruitless endeavor to try and find them without their help, is a marvelous tale on how our fears of the unknown can transform into gripping sensation of wonder. The fear of trying to create such a cinematic endeavor gave director Steven Spielberg the drive to create this iconic and memorable film that stands as one of the greatest science-fiction films ever made. 9. Annie Hall- Woody Allen’s relationship comedy Annie Hall is in a word, timeless, due to the fact that the issues taken up in the film are always present in all relationships and provides some hilarious and on point demonstrations of that always present topic. Experimenting with switching gender roles as well as making the couple a delightfully unique yet relatable example of relationships is a strength that is evident in Allen’s writing. 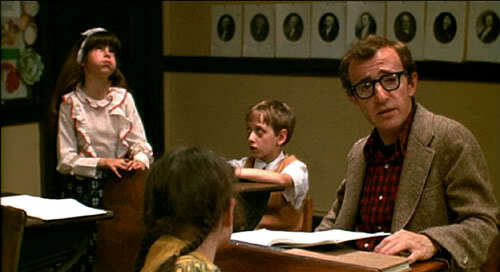 Rivaling Annie Hall for the position would be Allen’s Manhattan, but Annie Hall is clearly the winner due to its originality and better paced delivery of the same topic. 8. Jaws- a general rule of Hitchcock was to take something familiar in order to frighten us, because our own imagination is more frightening that anything else you can show on the screen. Perhaps it was the limitations of the times, but Steven Spielberg marvelously followed this sentiment with his on the water suspense film Jaws. The endless and inescapable ocean served as a catalyst for our fears as the murderous shark appeared rarely and was never really seen until the symphonic finale of the film. 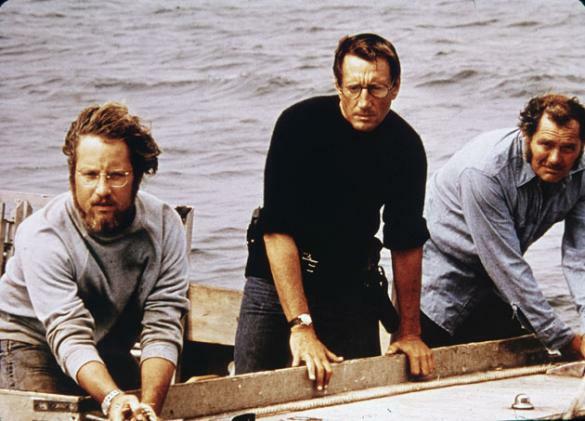 It is a brilliant drama, due to the real and memorable performances from Roy Scheider and Richard Dreyfuss, but is more of a model for brilliant suspense. 7. A Clockwork Orange- Humorously sadistic and philosophically Augustinian, Stanley Kubrick brought his cynicism to the screen with an adaptation of Anthony Burgess’s A Clockwork Orange to reflect on human nature and the identity of purpose. This dystopian tale of a young adult acting on his ultra-violent impulses isn’t necessarily for the closed minded but it is a spot on reflection on morality, purpose, freedom, and the oppression of the self. 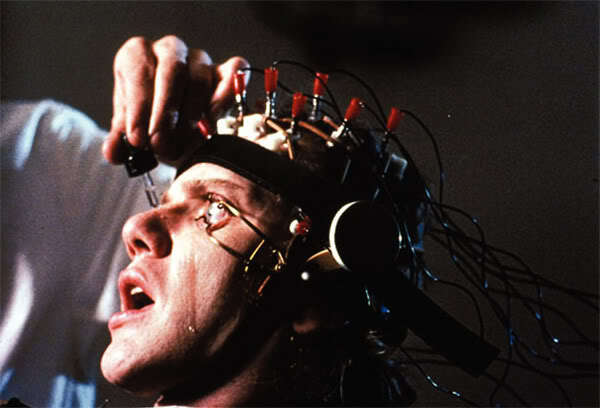 A Clockwork Orange doesn’t take a finite position, one that would obscure the ambiguity of being a Kubrick film, but it does provide ample evidence for multiple layers of discussion that continues to spark debate even today. 6. 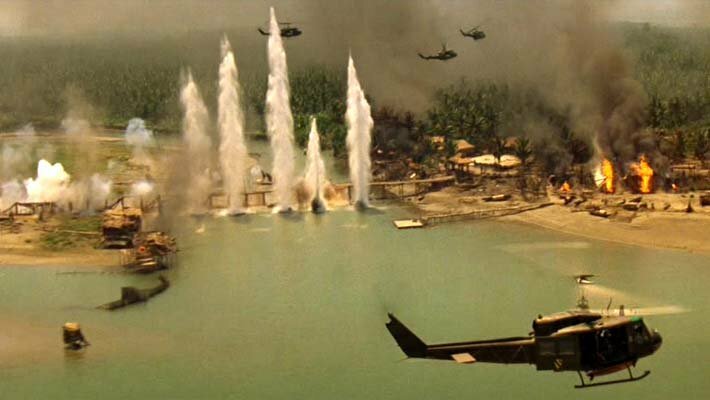 Apocalypse Now!- Apocalypse Now is known more for the obsessive and chaotic film atmosphere surrounding director Franics Ford Coppola’s controlling demeanor on the set, shown in the documentary Hearts of Darkness. But really the film is an artistic war piece that is unlike any other. More philosophical than Terrance Malick’s The Thin Red Line and more experimental than Steven Spielberg’s Saving Private Ryan, Apocalypse Now stands as not only a monumental achievement for the psychological aspects of war films, but also as a cinematic portrait of the Vietnam war that trumped all other attempts, such as Michael Cimino’s The Deer Hunter and more gripping than Oliver Stone’s Platoon. 5. One Flew Over the Cuckoo’s Nest- Czech director Milos Forman was able to bring Ken Kesey’s beloved novel One Flew Over the Cuckoo’s Nest to life without leaving a great deal of insight on the novel’s tone and speculations in the filming process. It is a highly enjoyable film while at the same time being on point with the entire representation of the counter culture through the freedom determinations of one of the inmates played exquisitely by Jack Nicholson. 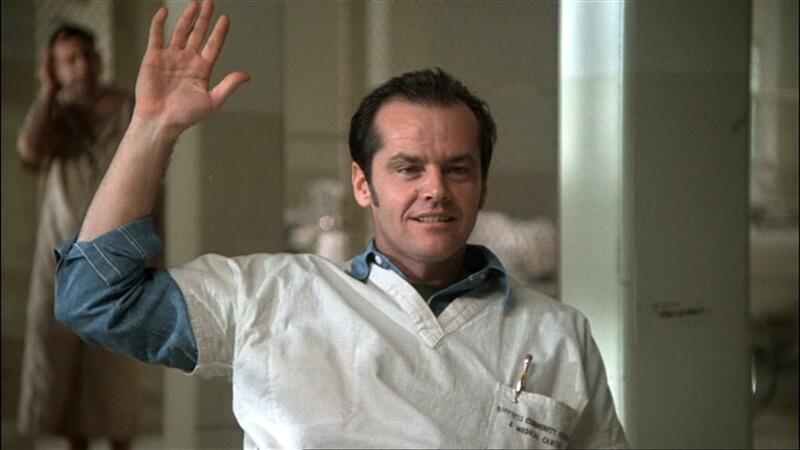 Never over stated and subtly delivered, One Flew Over the Cuckoo’s Nest is a film that will never age due to its never aging subject matter. 4. Chinatown- Roman Polanski’s throw back to the classic noirs of the 40s is one of the most brilliant scripts written in Hollywood’s history. Chinatown had the ability to bring unique and complex characters to the screen with a mystery tale that is at the same time equally complex in its realizations and twists. Tightly directed, brilliantly acted, and hypnotically delivered, Chinatown stands as one of the best in the noir genre that had added new features to an already perfected genre. 3. Taxi Driver- The 70s was an open period of cinematic experimentation, utilizing the gritty streets and confined spaces to accentuate particular characters psychoses and was done masterfully by director Martin Scorsese in Taxi Driver. Using the backdrop of a crime infested New York City, and the Vietnam war veteran who is disgusted with the vile that fills the streets, Martin Scorsese made one of the most riveting cinematic meditations on the isolated life of the haunting and socially inept Travis Bickle. 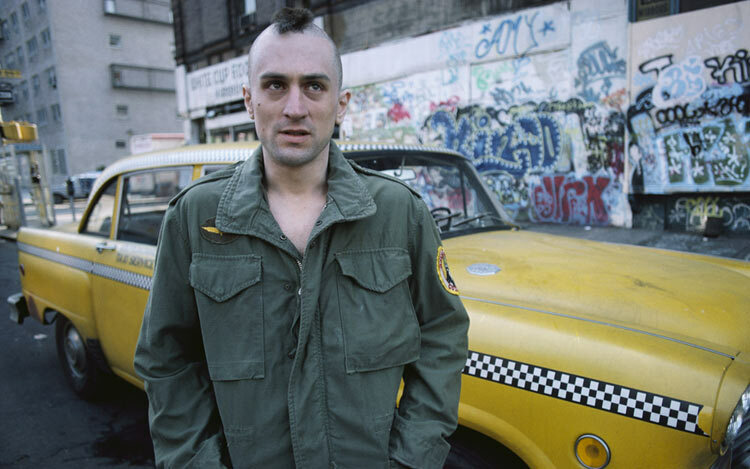 Having Paul Schrader and his catholic mentality aid the already spiritual Scorsese in his portrayal of a modern day hermit or demented monk made Taxi Driver an original piece of cinema that is still relevant today. 2. Star Wars- George Lucas’ spaghetti western in space, known as Star Wars, was a marvel in cinematic history despite the limitations and problems that occurred on the set of creating such a creative and special effects driven masterpiece. 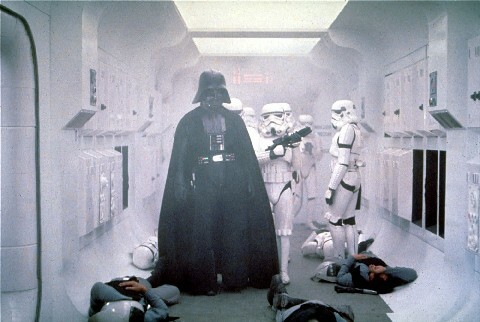 A space opera that doesn’t necessarily contemplate any higher philosophical questions as other science fiction films of its ilk, but Star Wars is simply one of the most awe-inspiring examples of how technical innovation and an unhinged creative drive can make some of the most iconic and enjoyable cinema that will remain referential and loved. 1. The Godfather/The Godfather Pt. II- It’s a bit unfair to put these two colossal films at a tie for first place, but Francis Ford Coppola’s The Godfather and The Godfather Pt. II are inseparable. Both films are brilliant dramas, on point gangster meditations, and influential in all the elements of what makes a great film in all of the following: story, character, visuals, acting, and post-production. 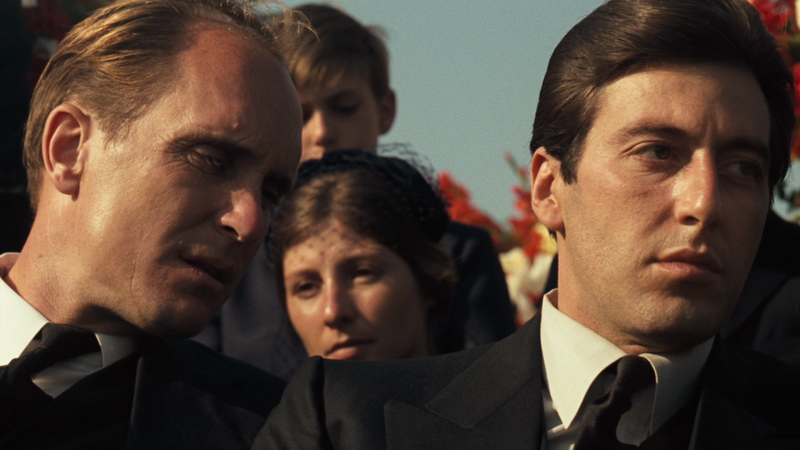 The Godfather alone is iconic and brilliant but The Godfather Pt. II is perfectly complimentary as a continuation of the first’s captivating delivery that they remain a product of debate between which one is the best. They remain one in the same here as they should always be.